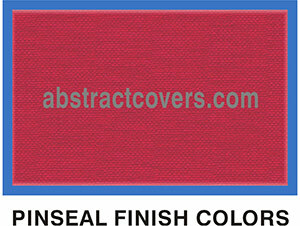 Welcome to Lindsey Printing’s www.abstractcovers.com web site. For more than twenty-five years Lindsey Printing has specialized in providing printing and other related products to abstracting and title companies. We know the importance of archival papers and the accuracy of printing which is necessary for legal documents. Please see our Contact page for personal assistance when ordering. 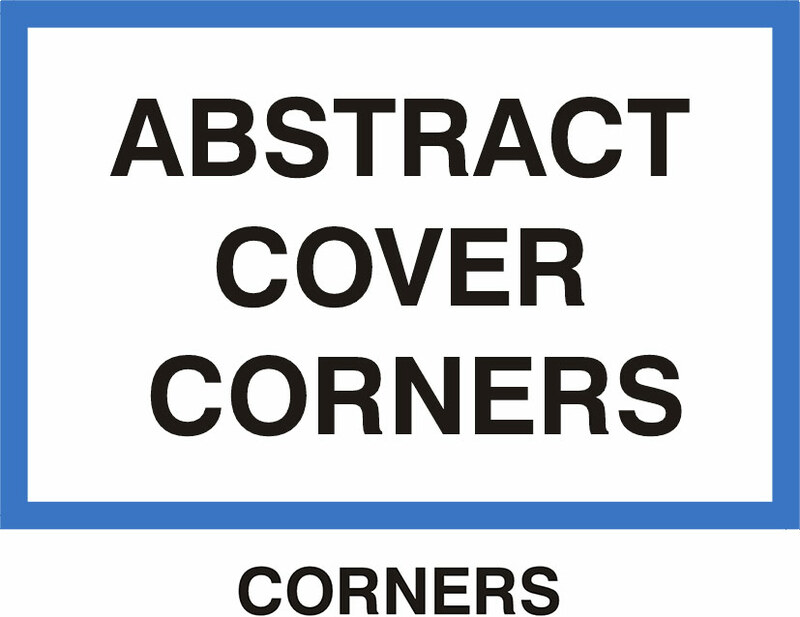 The Abstract Cover helps protect abstracts or documents and provides long-term advertising for your company. Those who are quality conscious and want to present abstracts or other documents to their customers with pride of a job well done, should use one of our materials. 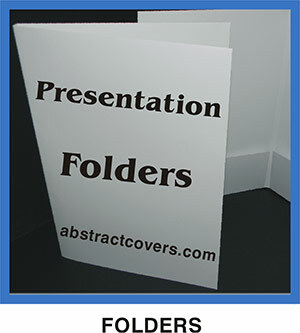 These Abstract Cover materials are not paper, they are made of durable, moisture, and mildew resistant materials. 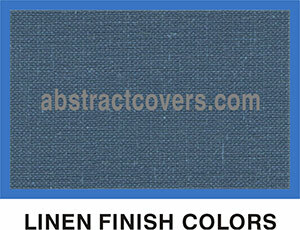 The Linen Finish Abstract Cover material has been the number one choice of most customers. We have now added two other materials which some customers have shown a preference for. 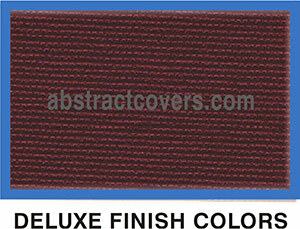 These two materials, the Pinseal Finish and Deluxe Finish allow for an even greater choice of colors and textures. Each computer’s monitor color is different and not as accurate as seeing the actual material. After you have selected a material’s color, you may go to the Contact page and request a free sample of that item’s LP number and color. If you do not know what material is now being used for your covers, just mail us a sample. We can then determine what it is and possibly will have the same or similar material. All covers may be ordered with Square, Clipped or Rounded corners. To see the different choices available click onto the Corners link. 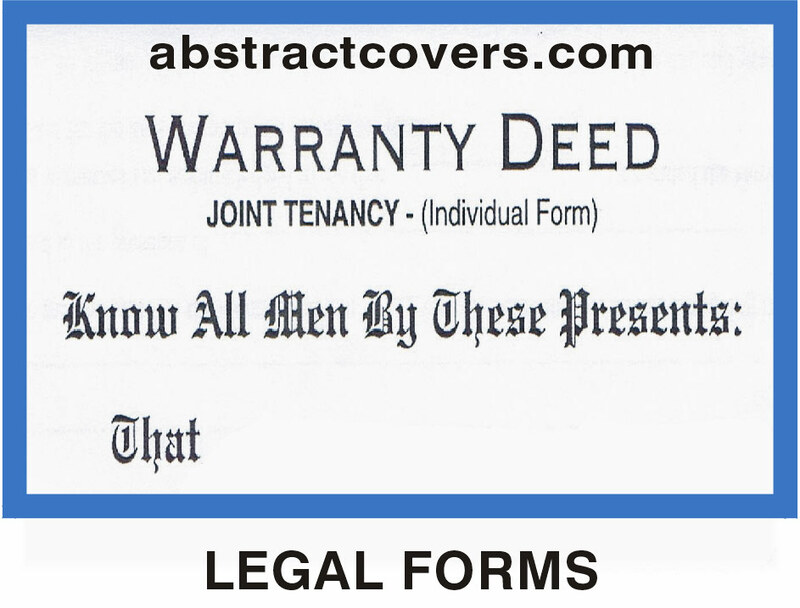 More information and pictures of a few forms, such as Deeds or Uniform Abstract Certificates are available at LEGAL FORMS. If you have a legal form you want reproduced we might be able to reproduce that form from, preferably, a good black and white copy you have, or possibly one that is in different colors and not so good. We have the ability to photograph and capture images that are not the best. The cost of doing this is much less than having to typeset or recreate art. There are some forms that cannot be reproduced in this way. If you want to send a sample for our opinion there would be no charge to determine what is necessary. If the form is not clear enough, and it must be type set, or any art recreated, we will determine the cost and advise you on how best to proceed. Our legal size folders have an expansion spine. Title work and closings often require many documents which require large capacity folders and our legal size Presentation Folders can provide this. This most popular size folder ordered has a 3/8 inch spine, which allows for an expansion of the folder that will increase its document-holding capacity. The folded size is 9 & 7/8 inches wide with a 14 &1 / 2 inch height. There are two pockets inside which are 4 inches in depth and almost the width of the folded size. See our product pictures and additional information at FOLDERS. 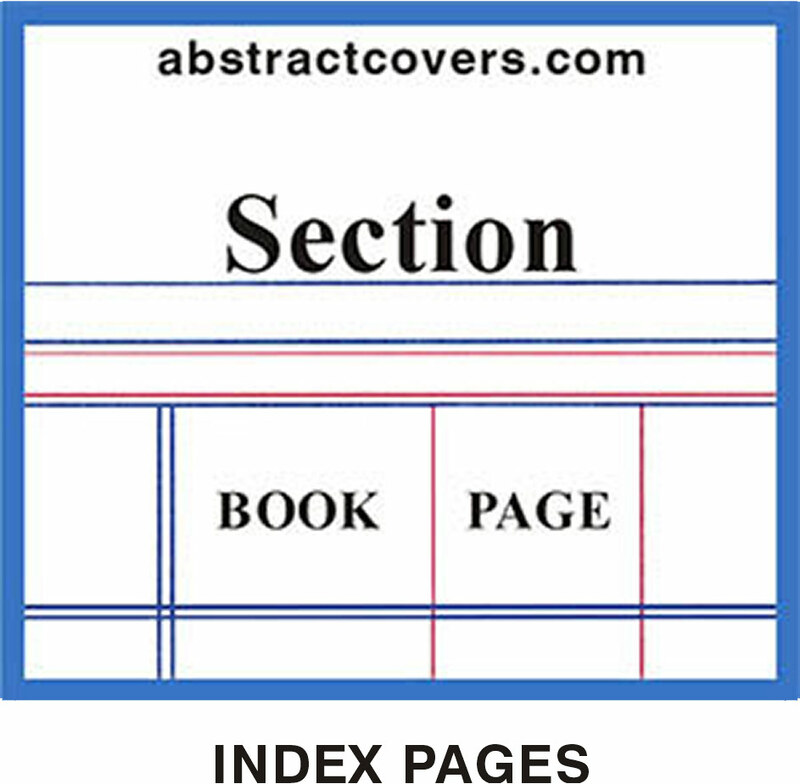 Post Binders are used by abstracting companies and county court houses to maintain Index Pages. Post Binders are available in various sizes and are normally made with two or four metal posts to hold the Index Pages. 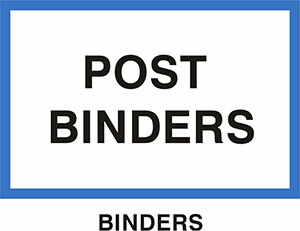 These posts will be either 5/16 or 3/8 inch and a purchase of additional posts will increase the binders index page holding capacity. See additional product information at BINDERS. What makes paper archival? Archival Qualities are a function of two properties; The strength and durability of the cotton fiber and the chemical stability provided by an acid free sheet ( ph. of 7.5 – 9.5.). 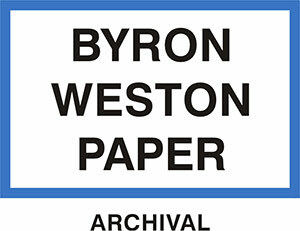 In the case of Byron Weston Linen Ledgers, an additional buffer (2% CaCO2) is added to ensure that it remains acid free after many years. Additional product information about what makes paper archival is at ARCHIVAL.